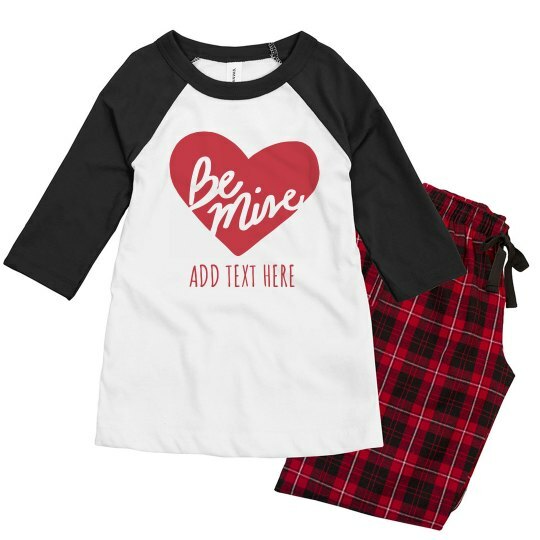 Own a set of these super cute and cozy 'Be Mine' youth pajamas for Valentine's Day this year! Personalize them with a line of your own text to make them one of a kind. Love is in the air!